Texas is once again making life difficult for OPEC. The Permian Basin of Texas and New Mexico has emerged as the new poster boy of the U.S. shale oil revolution. Land prices in the Permian have skyrocketed, drilling activity has tripled since last year and production there is poised to soar despite cheap oil prices. Some are even predicting this hotbed of shale activity could eventually surpass the colossal Ghawar field in Saudi Arabia as the world's biggest oilfield. The Permian's rise on the global stage couldn't come at a worse time for OPEC, which just last November cobbled together a delicate deal to deal with the oil glut by cutting production. The latest resurgence of U.S. shale oil output from the basin has caught OPEC off guard. Its strength even prompted U.S. government experts to recently predict that American oil production could soar to a new record by 2018. "The Permian Basin is definitely the thorn in the side of the OPEC production deal," said Matt Smith, director of commodity research at ClipperData. The key is that the unique geology of the Permian allows frackers to hit multiple layers of oil as they drill into the ground. That's what sets the Permian apart from other major oilfields, making it lucrative to drill there even at today's sub-$50 prices. The proof is in the skyrocketing cost of land in the Permian Basin, which mostly lies in West Texas but also has a foothold in New Mexico. Oil explorers have paid as much as $60,000 an acre in the Permian Basin, according to Wood Mackenzie. That's a stunning 50 times higher than the price four years ago. Land in the Permian is now fetching 10 times what oil explorers will pay for the Bakken, the North Dakota shale formation that used to be the face of the American shale oil boom. "While the heyday of the Bakken may well be over, it seems better times are ahead for the Permian. It's leading to this modern-day land grab, with spiraling prices for land there," said Smith. Oil rig in the Permian Basin of West Texas and New Mexico. ExxonMobil (XOM) is finally taking notice. After Exxon was late to the shale oil boom, the oil giant spent $5.6 billion earlier this year to purchase coveted land in the Permian. It was Exxon's largest deal since 2010 and doubled the company's Permian assets. "The Permian is the best, by far. It has established itself as the premiere oil basin in the U.S. -- and potentially in the world," said Rob Thummel, a portfolio manager at energy investment firm Tortoise Capital. U.S. oil producers have added 315 oil rigs since last May. 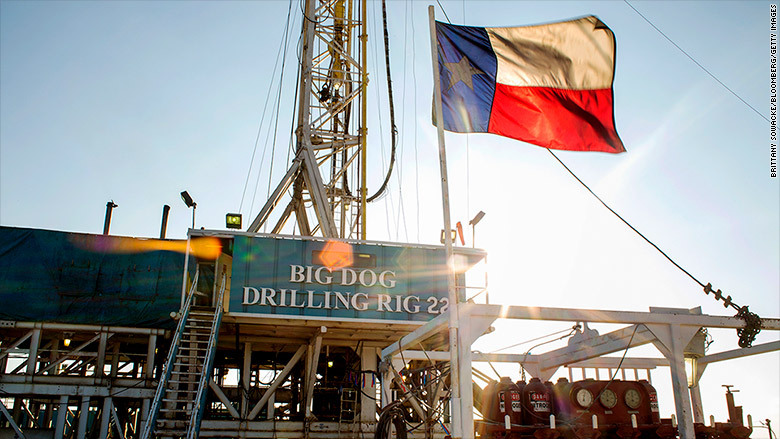 Nearly half of those rigs are located in the Permian Basin alone, which has almost tripled its rig count over the past year, according to Baker Hughes. Goldman Sachs predicted the Permian's output could surge by 310,000 barrels per day by the second quarter of this year alone. Currently, the Permian pumps around 2.2 million barrels per day, or roughly one-quarter of America's total production. By comparison, production is still shrinking in the Eagle Ford and Bakken, two other major shale plays. Related: Is OPEC headed for a showdown with U.S. shale? Pioneer Natural Resources (PXD) CEO Scott Sheffield is even more optimistic, arguing that the Permian could eventually exceed the 5 million barrels per day pumped each day from Saudi Arabia's Ghawar field, the biggest in the world. "People just don't seem to realize how big the Permian is," Sheffield, known as the "King of the Permian", recently told the U.K.'s Telegraph. But does the world need the Permian to get quite that big? On the upside, surging Permian production would generate lots of revenue for Pioneer, Occidental Petroleum (OXY) and other oil companies there. It would also create tons of good-paying jobs and add momentum to burgeoning U.S. oil exports. Yet there is a risk that the Permian will worsen the oil supply glut, that just won't go away. Recall that the oversupply problem was caused in large part by America's historic shale oil boom of the last decade. 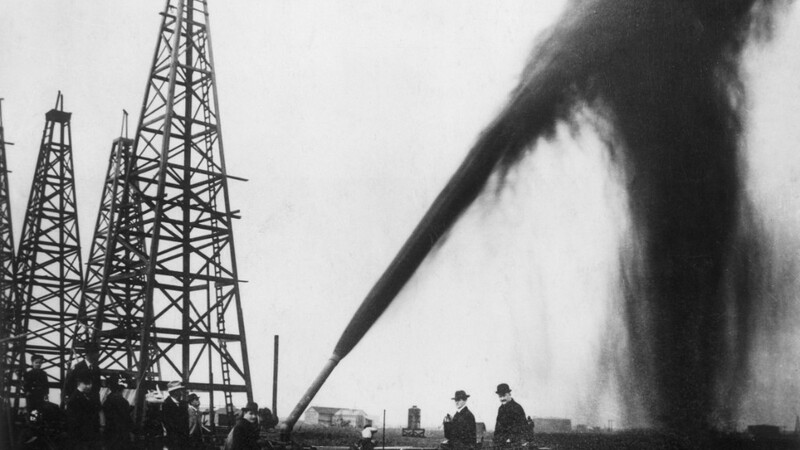 "There's no doubt we've got too much oil. We're trying to figure out how to balance through that," Thummel said. It's possible the Permian boom could be tempered by market forces. If oil prices stay this low, it will be hard to justify the Permian's sky-high land prices. Plus, oil producers there are already complaining about rising prices for services. For now, the oil markets remain nervous. Crude prices have tumbled 9% in two weeks amid concerns about resurgent U.S. supply. "There is concern that U.S. production is going to come roaring back so much that it impedes the price recovery. This is a vicious cycle," said ClipperData's Smith.